Dr. Ramandeep Kaur is a caring and dedicated family physician serving the community of San Jose, California. She received her medical degree from Ross University School of Medicine. Dr. Kaur is board-certified by the American Board of Family Medicine. She is committed to building relationships with her patients to improve their health and well-being. 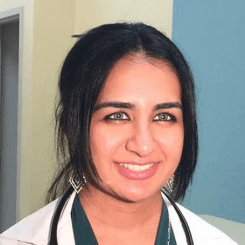 By listening to her patients and seeking to understand their individual needs and concerns, Dr. Kaur is able to provide compassionate and high quality health care. Dr. Kaur is able to communicate with patients from a wide variety of cultural backgrounds. She is fluent in English, Punjabi, Hindu, Urdu, and Spanish. 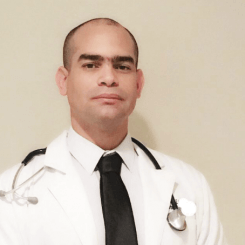 Dr. Sanchez graduated from Higher Institute of Medical Sciences in Santiago de Cuba in 2006 before continuing his training in the United States. He completed his family medicine residency program at Natividad Medical Center and is board-certified in Family Medicine. Every patient’s well-being is Dr. Sanchez’s top priority at any moment, and he is committed to provide the best care as well as comfort to each individual. He believes in creating strong relationships and earning trust from his patients, contributing to maintain and improve their lifelong health. Besides English, Dr. Sanchez can effectively communicate with patients who speaks French or Spanish. Stanley was born in Taiwan, came to the United States when he was 8 years old and has called the Bay Area his home ever since. He attended Touro University California on Mare Island and graduated with a joint degree of Masters in Physician Assistant and Public Health with emphasis on preventive health care. Stanley began his PA career with orthopedic trauma and spine surgery at John Muir Hospital in Walnut Creek. After his stint at John Muir, he decided to go into emergency medicine by joining Santa Clara Valley Medical Center (SCVMC) and be at the forefront of providing medical service to a diverse and underserved community. He also provided medical service to other underserved community hospitals in Central California: Merced, Madera, and Hollister. 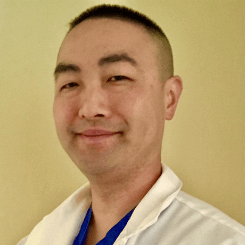 Joining Instant Urgent Care has allowed Stanley to work with a diverse population of patients and be involved in helping them establish their health care goals and needs.He is conversant in Mandarin Chinese and English.